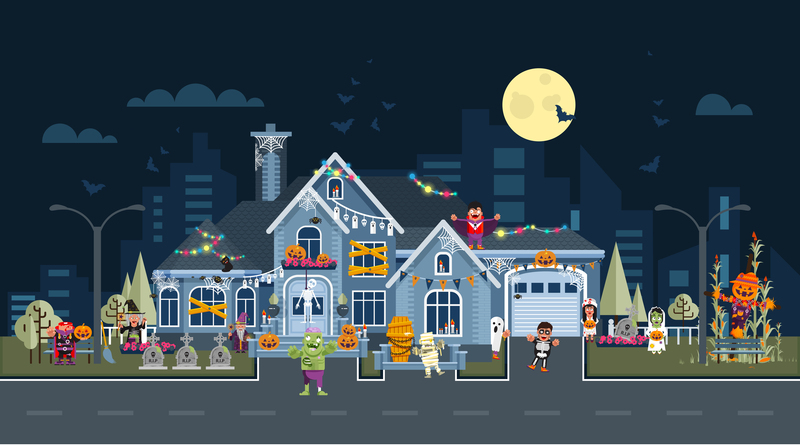 Choose decorations, costumes and accessories that are made with flame-resistant, flame-retardant and non-combustible materials. Use flashlights or battery operated candles instead of candles when decorating the home, including to light walkways, jack-o’-lanterns and outdoor displays. Carefully inspect each decoration before use. Cracked, frayed or bare wires may cause a serious electric shock or start a fire. Use electrical lights and decorations that are approved for safe use by an independent testing laboratory such as Underwriters Laboratories. Avoid using dried flowers, corn stalks or hay in your festive decorations. These items are highly flammable and could even be ignited by heat from a nearby lightbulb.